Uvex Pheos safety eyewear combines streamlined styling with technologically advanced materials for high-performance protection. The eyewear’s frameless design features duo-spherical lenses for all-around coverage. It features Dura-streme dual-action anti-fog, anti-scratch coating. 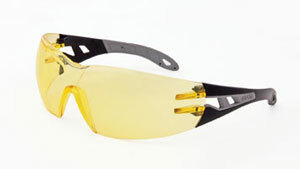 Available in two sizes and three lens tints, the eyewear is designed to fit across the workforce.